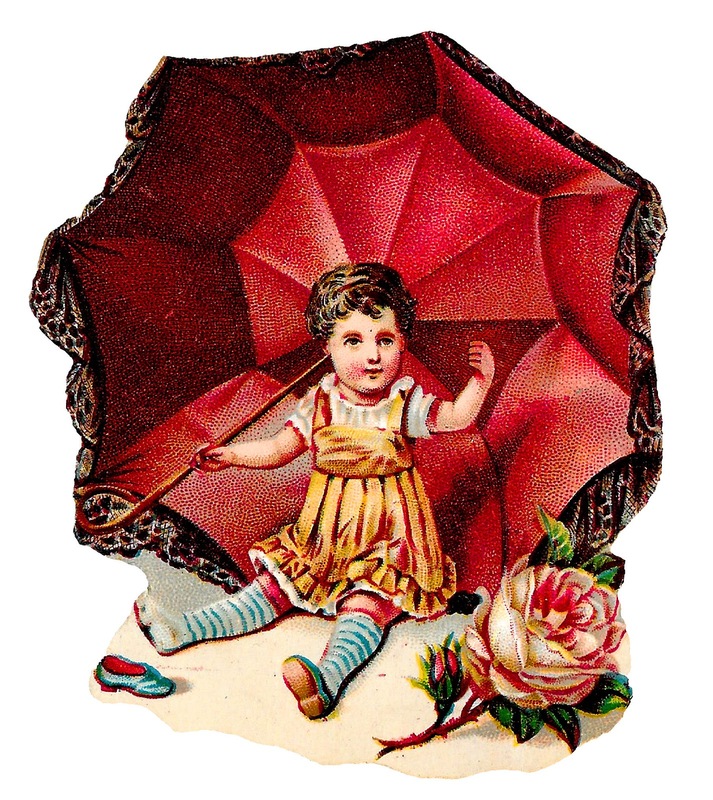 This is an adorable Victorian baby girl clipart image of a little girl sitting under a very big, red umbrella. One of her shoes has fallen off, but she looks happy. How cute! Next to the baby girl lays a single pink rose. It looks as if she's enjoying a beautiful afternoon at the park. 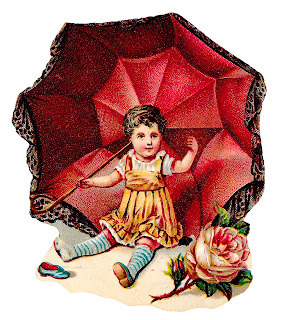 Click the link below to download the PNG format of this digital baby clipart image.